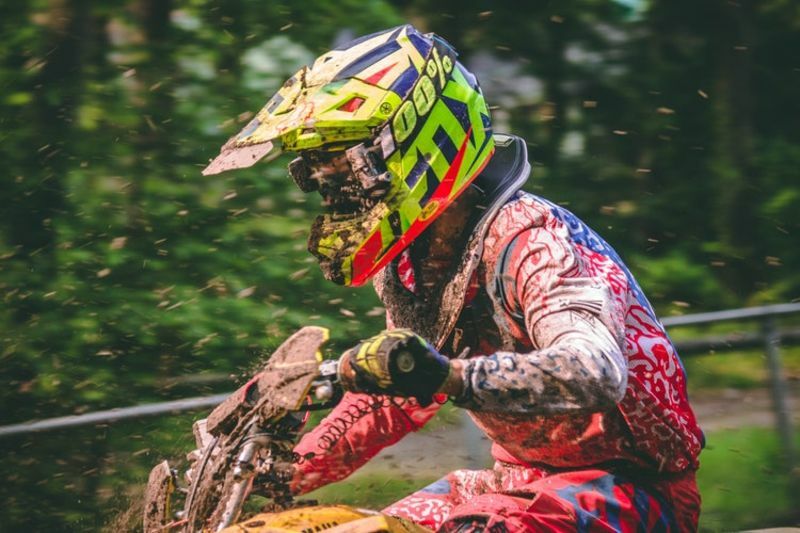 While motocross riding is all about strength, concentration and finesse, the most important thing is your protective gear. The helmet is the most crucial piece of protective gear, but this is followed by the boots. 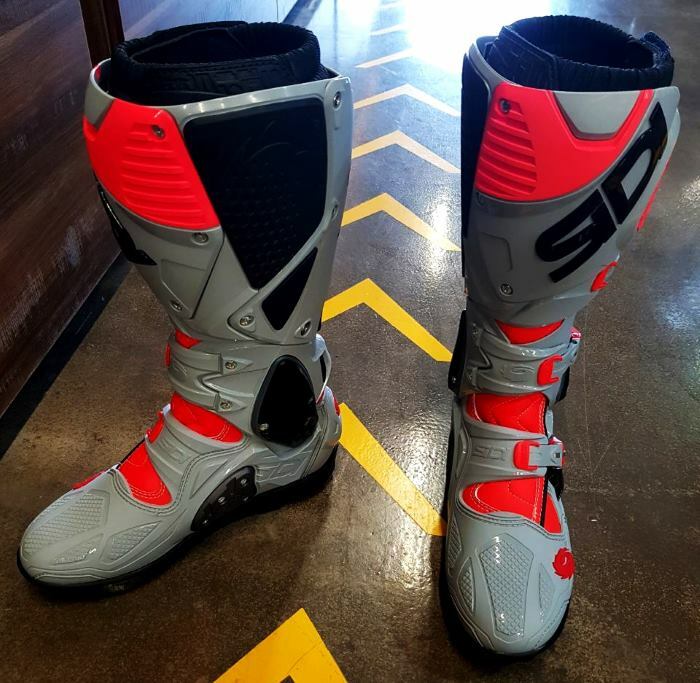 Motocross boots are absolutely necessary to keep you safe on the track, and Sidi boots are some of the best boots out there. The ankles, calves and feet endure the brunt that comes with the sport more than the rest of the body. 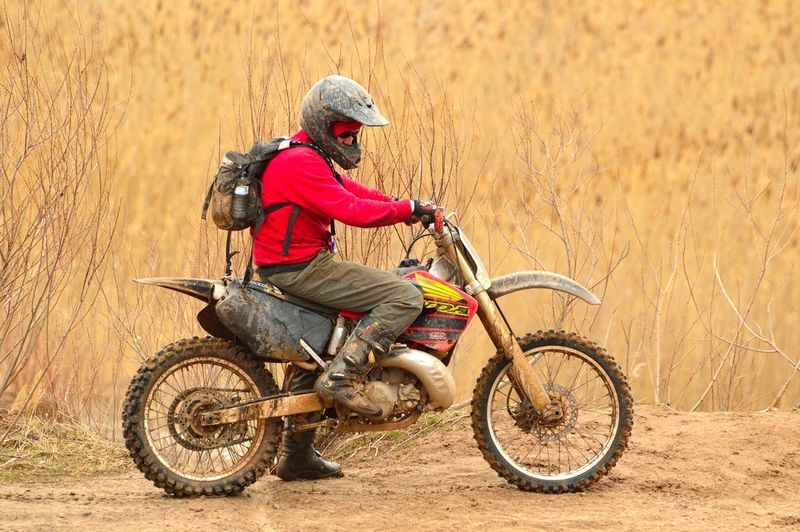 Sharp boulders, hot engines, other dirt bikes - all can lead to serious injury to your lower extremities, which is why the use and importance of boots shouldn’t be undermined. 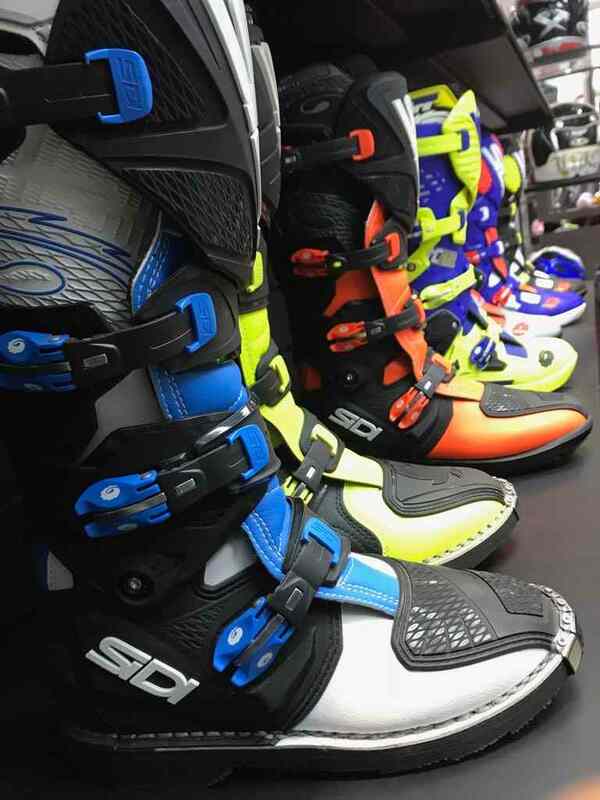 Sidi, the Italian brand known for its contribution to sports gear has a range of excellent motocross boots that we have reviewed below. These boots are the flagship Sidi boots. Offering the highest quality of construction and best protection and adjustability, a must for anyone who cares about the safety of their ankles. Part of the game when dirt biking is the sand, mud, rocks, water and brush. These can vary in size and shape and can be difficult and dangerous to navigate through (which is half the fun if I'm being honest). The main benefit of Sidi boots (much like Alpinestars) is the protection they offer. They protect the feet, calf, and shin area from injuries by protecting the lower legs from trees, rocks, and even other riders. Many motocross boots extend to under the knees and are typically either water resistant or waterproof. 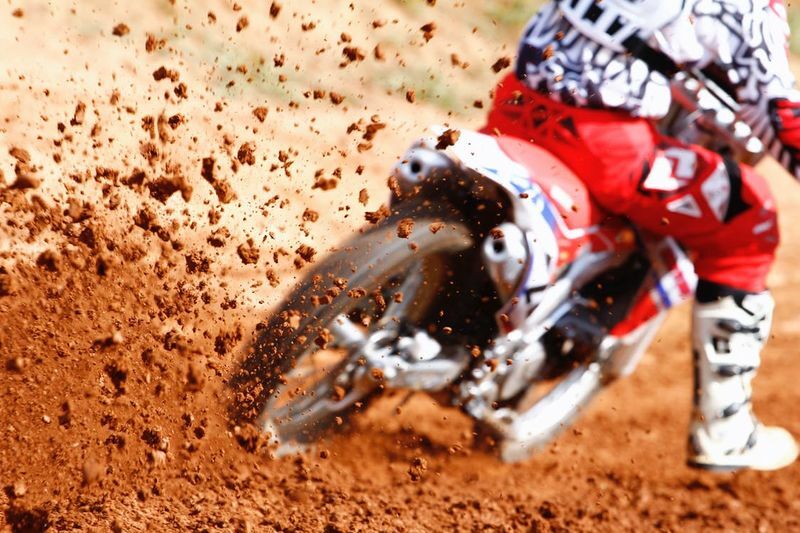 For this reason, motocross boots are an absolute must for anyone riding dirt bikes or motocross. Tradition and values coupled with commitment and an international network, make Sidi a reputable company present all across the globe. Due to their guaranteed superior quality, they are the primary choice of some of the biggest names in the off-road motorcycle racing world. The most important factor of any boot is the protection it offers you. 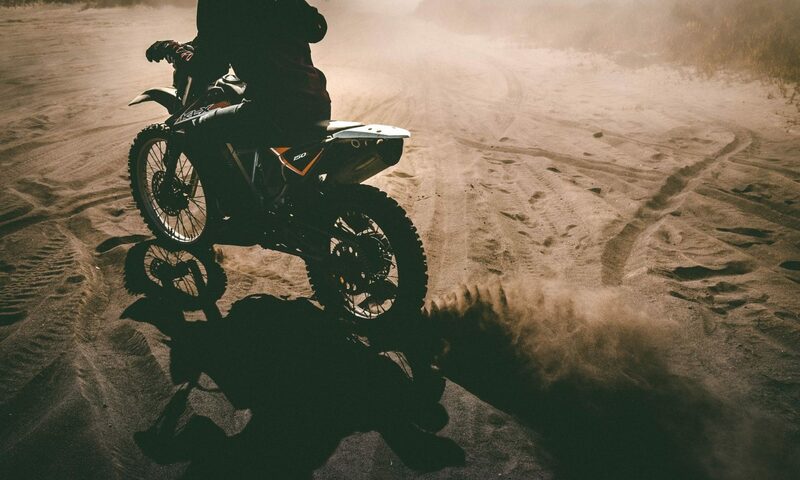 Motocross and off-roading are much more aggressive than other riding disciplines and thus the boots require the maximum protection. 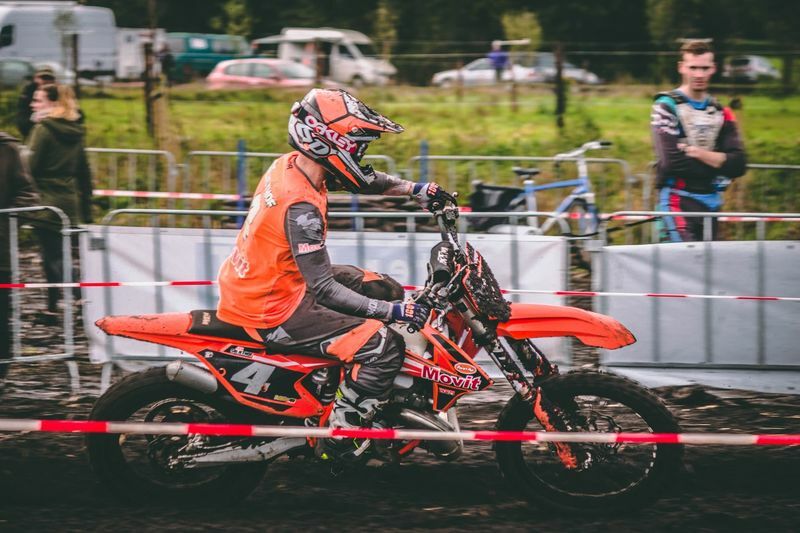 Boots particularly designed for motocross or enduro riding feature built-in components which offer protection in all the areas it is needed most (which is basically everything from the knee down, your knee braces will look after the knees). Another vital factor to take into consideration is the way the boots are constructed. Everything ranging from the materials, to the way the boots are held together make a crucial difference in your safety. Since all boots are created differently, it is important you educate yourself on the materials as well as the methods of construction to find the best pair. 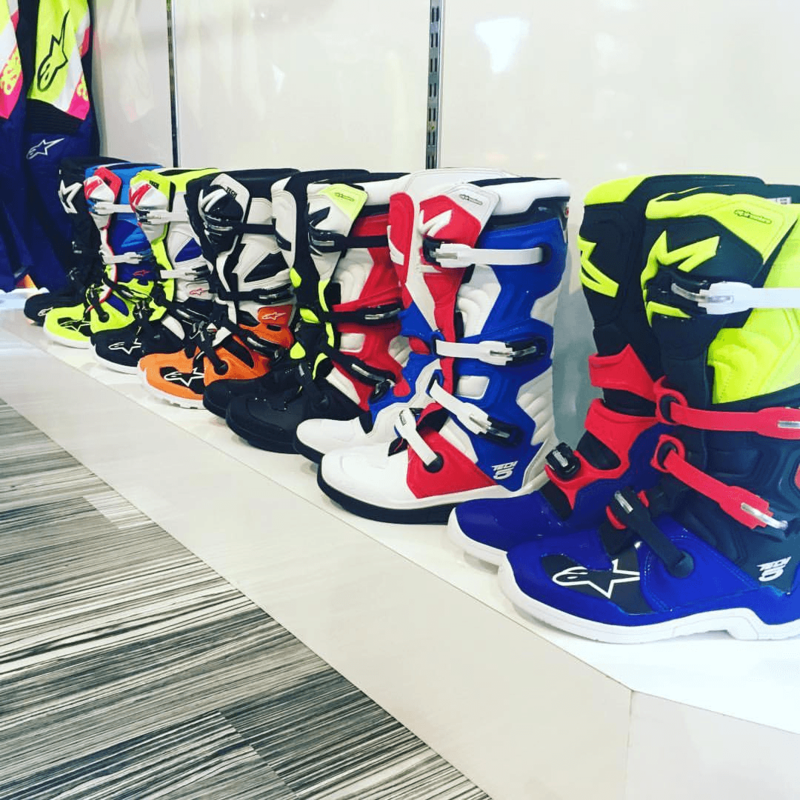 The key difference between motocross boots and boots of other riding styles are the heavy duty protection the dirt bike boots provide due to the tough outer shell which is built for the purpose of withstanding impact from all angles. Tough leather parts of the boots are usually protected by a strong plastic shield, it is the hard outer plastic shell that differentiates motocross boots from the likes of Harley-Davidson boots. When it comes to motorcycle boots, it's very likely that when you buy a new pair they will feel very uncomfortable at first. The materials will be hard and stiff and your foot won't be used the shape of the new boot (although my foot felt great when I first slipped into my Sidis). The uncomfortable sensation is normal and it will take time to wear in your new MX boots, watch the video below on how to do this. How comfortable the boots are becomes the determining factor of how long you can wear the boots, so it is important to find a pair that feels good. Before you commit to a pair for long rides, be sure to wear them for some time to see if you feel any uncomfortable spots or pressure points that will bother you when you hit the track. When it comes to motocross boots the saying: "< >," generally stands correct. But this doesn’t mean that you need to spend too hefty an amount on these boots. If you won’t be spending a lot of time on fast paced motocross tracks or high gnarly enduro loops tracks with your feet constantly in the dirt, there are many options that are more affordable. Importantly, despite their low prices, these boots still offer decent protection. 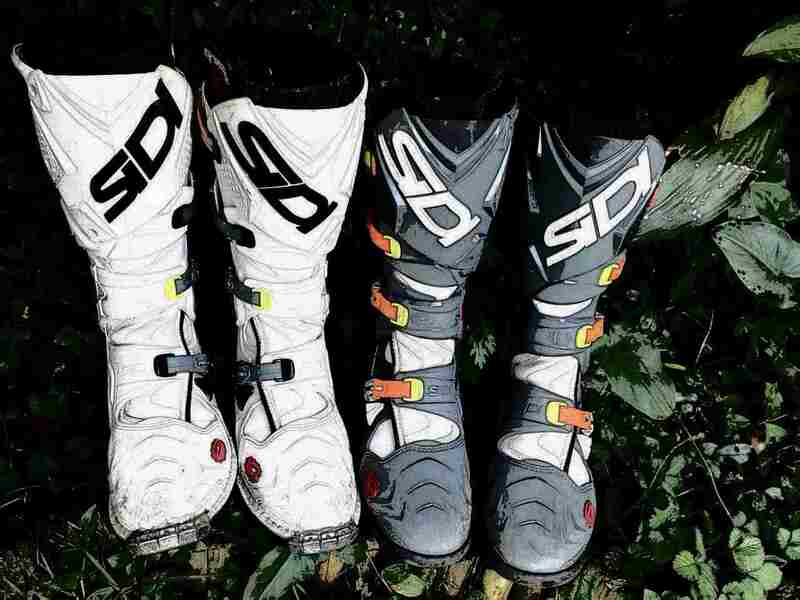 Although the goal of this article is to provide you with information and recommendations on Sidi's top off-road performance boots, we have actually reviewed one of their best non-performance Sidi motorbike boots as well. After using the same boots for some time, you will find that they get softer and more malleable, and hence comfortable and provide less hindrance to your ride. When you trade these soft boots in and first put your new boots on, they will most likely feel like they are made of stone. They will be constraining and uncomfortable - but this is normal. You do not necessarily have the wrong sized boot, more likely you just need to break them in. There are some initial things you can do (see below) to prepare your boots for the first ride. We won't go through these as the video above outlines the basics. However, once done with that, the best way to break in boots is to just go riding. Put on the pair of boots you have purchased, flex it a bit to prepare it, but ultimately deal with the initial discomfort that you feel, and spend a day out riding. In short time, they will break in and you can enjoy riding comfortably. The top-the-range pair of offroad Sidi enduro boots, the Crossfire 3 SRS are the revamped version of the 2 SRS boots. If your only consideration is quality and the protection of the boots, this is the pair for you - it is however the most expensive pair, but what price can you really put on your feet and ankles? Available in multiple colors to match your bike, kit or personality. These boots feature an innovative addition to the 2 SRS. The 3 SRS comes with an ankle pivot system to stop the ankle from hyper-extending and tearing the joint. The soles are also thicker and deeper to allow the foot to sit more comfortably in the boot. The construction is of the highest quality. The Air Teflon Mesh and Cambrelle lining allow for comfort and breathablilty, while the upper of the boot is made with sturdy Lorica and full grain leather. They also come with a replaceable shin plate to protect the vulnerable shins from absent minded tree branches. These boots are easy to customize and modify. The adjustable buckles are easy to operate and come with memory-regulation system to stay in place once they have been adjusted. The diameter of the calf area can also easily be adjusted to provide a great fit over ankle and knee braces. The classic Sidi boot. These boots are well known for their quality. Not as modern as the Crossfire 3 SRS, but with a more manageable price tag. The precursor to the Crossfire 3 SRS boots, this pair is a classic. Cheaper than the Crossfire 3, but not with a huge compromise on quality - you can feel comfortable pushing your limits while riding in these. Not only are the boots sleek and stylish, they also feature an innovative design. The SRS stands for "Sole Replacement System" which is the defining feature of the series. With SRS, the sole can be removed, and replaced allowing the boots to be used for different riding disciplines. They come with a number of adjustable settings which include a memory retention system as well as the Dual Flex feature, allowing riders to adjust the shin size according to their preference. The quality of the boots is unquestionable. The leather, as well as the microfiber material, are sturdy and not stiff at all. Lined with Air Teflon Mesh and Cambrelle for comfort, they come standard with removable toe defenders and shin plates that protect the two highly vulnerable areas of the legs and feet. Additionally they come with a shock absorbing heel, to prevent the joints and heels from sprain and injuries. These Sidi boots are known to be highly waterproof, the Gore-Tex lining makes them perfect for riding in wet conditions while you remain protected from the roughest of terrain. Another great pair of Sidi MX Boots are the Adventure Gore boots. These boots are ideal for the rider who is riding in wet terrain, and needs to protect their ankles while maintaining affordability and style. The boots are lined with the Gore-Tex waterproof and breathable membrane and also feature a polyurethane shin plate, two buckles as well as a Velcro strap closure. The upper part of the boots is made from split grain and top grain leather. These boots features include a flex system and adjustable straps. The Gore-Tex lining not only keeps water out, but also allows moisture to escape - however this can make the boots hot under normal conditions. While I would not put these boots in the same high end off-road performance boots as the one's listed above, I would mark these as great value for adventure riding. A cheaper pair of Sidi motocross boots, while still not compromising on the quality of protection to keep you safe while riding. Sidi has manufactured many great motocross boots, another one of them being the Sidi Crossfire 2 TA boots. The construction of these boots is very similar to the 2 SRS, but the sole is not replaceable but they are, however, a bit more affordable, offering a good compromise. The quality and protection of these boots is as good as the SRS models, so you can take these on the rockiest climbs without fear. The outer material is made using microfiber and leather while the inner liner is made using with the same Cambrelle and Teflon air mesh as the SRS. There is also a thermoplastic defender on the toe area which provides great protection against damage to the toe. The boots come with adjustable buckles that are replaceable as well as easy to use. The adjustable buckles are fitted with the same memory regulation system and dual flex systems as the SRS series, so the boots enjoy flexibility and ensure the natural position of the foot bed. The boots feature three extended ribs at the back to help the rider in making upshifts with the heel. Additionally, the heel is shock resistant, anatomically shaped, and rigid, providing maximum protection. These boots are not recommended for extreme off-roading, but are more suitable for the casual cruiser. You might even get away with them at work if they weren't covered in mud. The ultimate dual purpose motorcycle boot. These boots are the best compromise of practicality, price and fashion. Not truly sidi enduro boots, they are more suited to casual use. The boots come up lower than the other boots, but still protect the ankle. and also come with a waterproof and breathable Gore-Tex membrane to keep the rider dry. The top grain leather construction and double stitching makes sure that the boots stay stable for years, while the ratcheting instep buckle makes sure that the heel stays firmly planted. Moreover, the thick soles dampen the engine and road vibrations that are sent via the pegs. These boots are equipped with a Velcro band closure system on top of the ankle and a micro adjustable strap system below the ankle. They come with a rigid nylon innersole and a full-length inner gaiter. The removable arch support coupled with internal heel, ankle, and toe protection provides comfort and protection. The boots feature nylon plating, leather toe shift-brake pad, and internally padded shin plate. The boots are highly comfortable without any areas that pinch the foot. The sole has a lug-type grip non-slip sole that offers good grip and is very easy to clean; the dirt can just be gently brushed off, and boot cream can be used on the shiny parts. A good choice for the more casual rider. Considering all the five boots, it is safe to say that my favorite boots are the Sidi Crossfire 3 SRS Offroad boots. They are highly innovative and incorporate the latest technology to offer the best in protection and comfort, and despite being the most highly priced among the five, these are our primary choice. For dirt biking, you need boots that are not only comfortable but also super flexible and the Crossfire SRS 3's sole replacement system coupled with the memory regulation system make sure that you enjoy a good riding experience. They also provide the best protection, so you can worry less about being (seriously) injured while enjoying the world's best sport. Get yourself a pair of Sidi boots! 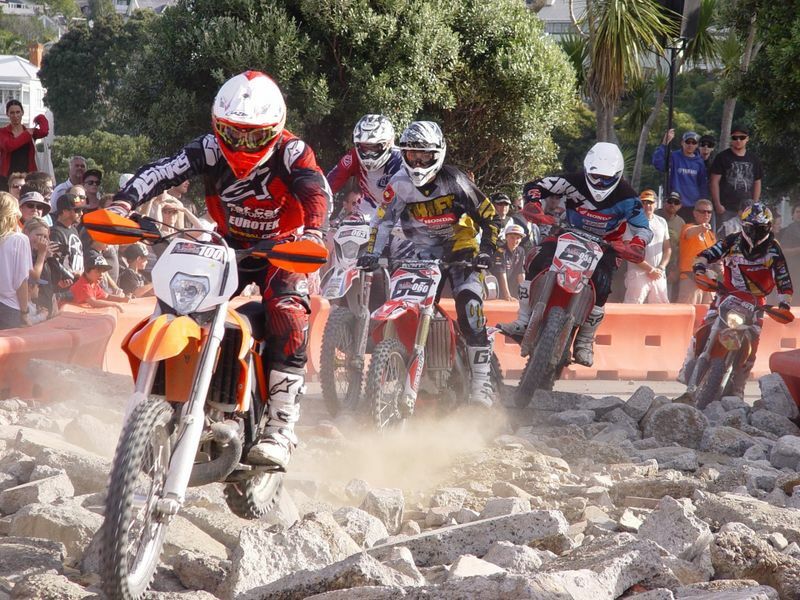 Oakley MX goggles are the best option for motocross and off-road motorcycling. Looking for reliable protective eyewear for motorcycle riding? Try Oakley! We love Alpinestars boots for motorcycle rides. If you're looking for a quality boot for motocross or off-roading, this is the best brand you can get. Two-stroke engines require a specific type of oil, but there are many options available. Discover the best two stroke oil for your bike, and the one that suits your unique purposes. When dirt bike riding, I'd rather be naked with a helmet than clothed without it. It is the most essential piece of equipment. But how do you pick one?